Retirement plans help business owners save for retirement and attract the most talented employees. There are 6 main types of small business retirement plans that allow pre-tax contributions each year by employers and/or employees. Each type differs widely, ranging from $6,000 – $56,000+ in annual contributions, with some requiring employer contributions or match. When you’re a solopreneur or a small business owner with a dozen full-time employees, one of the 6 retirement plans will be right for you. Once you pick a plan, choose a reputable provider to help with implementation and administration. One of the best providers for retirement plans for small is Human Interest. Human Interest’s technology allows it to streamline plan administration and generate cost savings for small business owners. With over 54 million Americans participating in more than 550,000 plans, 401(k)s are probably the most well-known type qualified retirement plan. In a 401(k), employees can contribute up to $56,000 pre-tax each year through salary deferrals, employer matching, and profit-sharing. Employers are not required to match or profit-share if they don’t want. 401(k)s best for employers who want flexibility and who have more than 8 employees. This is because the higher administration cost nets out to a positive once a company passes this mark. Other options, like SIMPLE IRAs and SEP IRAs, either have fewer contribution options/limits or require some sort of employer match or contribution, making it more expensive for growing companies. However, remember that 401(k)s have the highest administrative costs overall, and the IRS requires annual testing to ensure your plan is fair to employees. The per-participant cost of a Traditional 401(k) is usually higher for small businesses than larger, established companies. According to Human Interest, businesses with 10 employees will pay about $2,000 annually for administration. Mutual funds within the plan will also have expense ratios between 0.15%-1% and equity trades also have fees, both of which are paid by employees and deducted automatically by the funds. Plan administration fee (0.25%-2% annually) – Very few 401(k) plans are self-administered. It’s best to hire a third-party administrator to oversee the plan, provide annual compliance testing, and file your annual Form 5500. Plan administration cost usually has a per-plan base rate, plus a per-participant charge. Custodian fee (0.25% of plan assets) – Companies that hold 401(k) accounts often charge a separate fee for holding plan assets. The charge can be a fixed cost or based on plan assets. However, it should not exceed 0.25% of plan assets. The expense for custodying plan assets may be offset against investment fees. Advisor fee (0.5-1.5% of plan assets) – If you use a financial advisor to provide advice on specific investments, you’ll pay an additional fee to the advisor based on plan assets. These fees start at a fraction of a percent per year and can go up to nearly 2% per year, though sometimes they’re partially covered by investment fees. ETF and Mutual Fund Expense Ratios (0.25%-2% of amount invested) – Investment options within a 401(k) have their own fees that are automatically deducted from the fund as expense ratios. These fees can sometimes be used to help offset other costs. Recordkeeping (0.15% and 1% of plan assets) – Recordkeeping for a 401(k) is often included in plan administration services. All employee deposits, disbursements, employer contributions, and plan expenses must be tracked and reported. Historically recordkeeping fees have been fixed, but more sponsors have lately been shifting to asset-based fees between 0.15% and 1%. Unlike some IRA alternatives, 401(k) contributions come from both employers and employees. Contributions are a combination of employee salary deferrals, employer matching, and profit-sharing payments by employers when they choose to contribute. For 2019, employees can have up to a total of $56,000 in a 401(k) plan. Of this total, $19,000 is from salary deferrals, with another $19,000 from employer matching. The remaining $18,000 is through employer profit-sharing contributions. An additional $6,000 in catch-up contributions are allowed for employees over age 50, for a total of $62,000. Of all small business retirement plans, Traditional 401(k)s offer employers the most flexibility for matching. Employers can structure any matching formula they want (including profit-sharing) – or not match at all. It’s common for employers to suspend matching when the business is facing a downturn. Whatever you decide, matching guidelines need to be included in the plan documents and followed carefully. The IRS has a strict process for setting up a 401(k). The effective date of a plan can be anytime, but employers must adopt the plan during the same tax year for which the plan is effective. The specifics of a plan must be included in plan documents that the employer drafts, adopts, and follows. Unlike Safe Harbor or Solo 401(k)s, Traditional 401(k)s are subject to “nondiscrimination testing”, which is an IRS test to ensure that plan assets don’t become too concentrated among company owners and highly-compensated employees. This testing must be conducted annually, with corrective action taken before year-end if the plan is not in compliance. Additionally, Form 5500 must be filed annually with the IRS. Traditional 401(k)s have a number of benefits and drawbacks for small business owners to consider when deciding if 401(k) may be their best option. Set eligibility requirements – You get to determine who is eligible for your 401(k). For example, you might require employees to be at your business for at least a year before they qualify. Annual compliance testing – Part of administering a 401(k) plan involves testing the plan annually to make sure your plan doesn’t disproportionately benefit higher-earning employees. Non-compliant plans must be corrected – Failing one of these tests can mean that you need to make contributions on behalf of low-earning employees or make corrective distributions to bring your plan back in balance. Thankfully, using a service such as Human Interest means that they will help keep you compliant. Annual filing – Each year you must file a Form 5500 for your 401(k) plan. To read more about Traditional 401(k) costs from different providers, check out our article on the 6 Best 401(k) Companies for 2018. 401(k) plans can be provided by Professional Employer Organizations (PEOs) like Justworks, HR benefits software including Gusto, or independent retirement providers like Human Interest, which uses technology to offer a low-cost administration service. Check them out today for more information. One growing trend among retirement benefits is qualifying 401(k)s for Safe Harbor. Safe Harbor 401(k)s have the same contribution limits as 401(k)s but make maximizing contributions easier because Safe Harbor 401(k)s are exempt from annual compliance testing that sometimes causes plan assets to be returned to high-earning employers, increasing their tax bill and reducing the amount they’re putting away for retirement. To qualify for Safe Harbor, employers must match at least 4%. Safe Harbor 401(k)s are best for businesses that have high employee turnover or too many plan assets among owners or highly-compensated employees. These businesses run the risk of violating annual compliance testing with a traditional 401(k), but are exempt if they qualify their plan for Safe Harbor – making it easier for owners and high-earns to contribute more. The costs of a Safe Harbor 401(k) are similar to a Traditional 401(k). Both require plan administration, bookkeeping, and annual Form 5500 filings. Many providers actually offer cost savings for Safe Harbor 401(k)s because there is no requirement for annual compliance testing. However, employers do have added costs of higher matching. Plan administration fee (0.25%-2% annually) – Administering the plan, overseeing deposits and disbursements, preparing and filing the annual Form 5500. The fee sometimes has a per-plan rate, plus a per-participant charge. Custodian fee (0.25% of plan assets) – Financial institutions that hold 401(k) accounts sometimes charge a standalone fee for holding plan assets. The fee can be either fixed or based on plan assets but should be no more than 0.25% of total plan assets. This fee may be included in other charges or credited against investment fees. Advisor fee (1% of plan assets) – If you choose to use a financial advisor to provide specific investment advice, you’ll typically pay an additional fee based on plan assets. 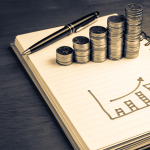 These fees can start at a fraction of a percent per year and go up to nearly 2% per year, though they are sometimes partially covered by investment fees. Investment fees (0.25% to over 2% of plan assets) – Specific investment options within a 401(k) charge their own expense ratios that are automatically deducted from the fund. Depending on the structure of a plan and providers used, these fees are sometimes used to help offset other costs. Recordkeeping (0.15% and 1% of plan assets) – Plan recordkeeping is often included with plan administration services and covers the basic bookkeeping for a plan. Deferrals, disbursements, employer contributions and expenses are tracked for proper reporting. Fees for this service have historically been fixed-cost, but recently more sponsors have been shifting to asset-based fees between 0.15% and 1%. Safe Harbor and Traditional 401(k)s have the same contribution structure. Contributions consist of employee deferrals, matching, and discretionary profit-sharing contributions. 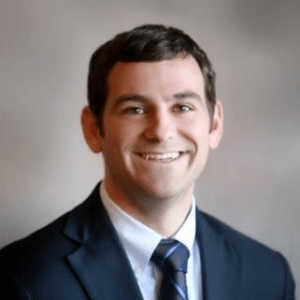 However, it’s much easier to maximize contributions in a Safe Harbor 401(k), especially for owners and highly-compensated employees who can be hindered by Traditional 401(k)s with annual compliance testing. Using a Safe Harbor 401(k), employees can contribute a maximum of $56,000 per year. $19,000 of that total comes from deferrals, plus another $19,000 in matching. The final $18,000 comes from profit-sharing contributions that are discretionary for the employer. An additional $6,000 if allowed for employees aged 50 or over. For a 401(k) to be eligible for Safe Harbor, employers must satisfy certain requirements. These include structuring either an elective or nonelective employer contribution program that meets certain minimums. Elective contributions – If matching employee deferrals, employers must effectively match employee deferrals up to 4% This can be achieved by either matching 100% deferrals up to 4% or matching 100% up to 3%, then 50% up to 5%. Non-elective contributions – Employers can make contribute 3% of every employee’s annual pay to their respective accounts, regardless of whether employees contribute themselves. The biggest difference for Safe Harbor vs Traditional 401(k)s is that Safe Harbor plans are exempt from nondiscrimination testing. Also, Safe Harbor 401(k)s can’t be active less than 3 months of the year, so they must be adopted before October 1. Form 5500 filing requirements are no different. As a subset of 401(k)s, Safe Harbor 401(k) plans have their own benefits and drawbacks relative to Traditional 401(k)s and IRA alternatives. For more information on Safe Harbor plans, check out our detailed guide on Safe Harbor 401(k) plans and nondiscrimination testing. Like a Traditional 401(k), Safe Harbor 401(k)s can be provided by PEOs like Justworks, HR benefits providers like Gusto, or independent administrators like Human Interest. For more information on these plans, contact Human Interest for more information. Solo 401(k)s are for businesses that have no full-time employees because only the business owner and their spouse can participate. Otherwise, Solo 401(k)s are like Traditional 401(k)s, with the same contribution limits but virtually no administration cost. Solo 401(k)s can invest in real estate and other alternative assets through certain providers. Solo 401(k)s are ideal for solopreneurs or independent contractors, particularly those who are interested in investing their retirement savings in alternative assets. It’s also great for single-member businesses that expect to hire employees in the future because a Solo plan will convert to a traditional 401(k) when the first employee is hired. In contrast to other 401(k)s, Solo 401(k)s can be structured through a mutual fund company or online brokerage firm with no administration cost. Solo 401(k)s theoretically have the same contribution structure as other 401(k)s – with deferrals, matching, and profit-sharing. However, in a Solo 401(k) the employer and employee are the same person, so contributions are generally consolidated and considered profit-sharing. Therefore, you can contribute up to $56,000 ($62,000 with catch-up contributions), each year. Solo 401(k)s only have one participant – the business owner – so they don’t have matching. This is a huge benefit of Solo 401(k)s compared to SEPs for solopreneurs who eventually want employees. In a Solo 401(k), you can hire employees later without having to fund their contributions yourself – your Solo 401(k) simply converts to a Traditional 401(k) and you don’t have to match. Solo 401(k) plans can only be used by small businesses that do not have any full-time employees. Business owners have until their tax filing deadline to make Solo 401(k) contributions (prior year contributions are allowed). Form 5500 EZ must be filed if plan assets exceed $250,000. Solo 401(k)s are only available for businesses that have no full-time employees and offer special benefits as well as some distinct drawbacks. For more information on how a Solo 401(k) works, check out our ultimate guide on Solo 401(k) Individual 401(k) rules, limits, and deadlines. Solo 401(k)s providers include a number of financial service companies and online discount brokers. One of the best low-cost providers is Vanguard, the largest mutual fund company in the world. For more information on where to find, check out our article on the best Solo 401(k) providers. A SIMPLE IRA, sometimes called the poor man’s 401(k), is a great option for small businesses with under 100 employees. It allows employees and employers to make pre-tax (or tax-deductible) contributions. It’s also one of the easiest retirement plans to set up, has no IRS filing requirements and minimal service fees. However, the maximum contribution limit is $26,000. SIMPLE IRAs are best for employers who want to contribute $7,000-$26,000 per year and have 5-15 employees, some of whom want to make salary deferrals. Companies with more than 15-18 employees – or business owners who want to contribute more than $65,000 per year – typically find more benefit from Traditional or Safe Harbor 401(k)s. If you don’t want to contribute more than $7,000 per year, you’ll be better off with a Traditional IRA. SIMPLE IRAs generally do not have administration fees, although some providers like charge a fee for account maintenance or custody. Vanguard, for example, charges $25 per year for each fund used in a SIMPLE IRA. Additionally, you can purchase software like Gusto to manage withholdings and deposits. Custodian Fee – Financial institutions that hold SIMPLE IRA assets typically charge $10 – $20 per year per employee to hold an IRA, which is deducted from individual employee accounts. Contributions to a SIMPLE IRA come from both the employee salary deferrals and employer contributions. In structuring a SIMPLE, employers choose from 2 different contribution plans. Total contributions for SIMPLE IRAs are limited to $26,000 for 2019. Employees can contribute up to $13,000, with another $13,000 coming from employer matching. All employees aged 50 or over are also allowed to contribute an additional $3,000, bringing their total to $29,000. Elective Contributions – Employers match employee contributions dollar-for-dollar up to 3% of their annual pay. Employers can temporarily reduce their match to as little as 1%, but match less than 3% for more than 2 of the preceding 5 years. Non-elective Contributions – Employers contribute 2% of every employee’s annual pay to their account, regardless of whether they contribute. SIMPLE IRAs can be established anytime between January 1 and October 1 of the year they take effect. There is no annual filing requirement with IRS. Compared to IRA and 401(k) alternatives, SIMPLE IRAs have their own pros and cons for business owners to consider. Universal eligibility – You have to offer the plan to all employees who earn over $5,000/year, regardless of their length of time at your business or their part-time vs. full-time status. A big advantage for SIMPLE IRAs is that they can be easily administered by the business owner. To learn more about SIMPLEs, check out our article on what SIMPLE IRAs are and how they work. You can also read more about how to set up a SIMPLE IRA on your own or by linking your payroll service like Gusto to your accounts provider. If you’re self-employed and want to start a retirement account for yourself (and a spouse), SEP IRAs are the easiest and most versatile option. SEP IRAs let you contribute up to $56,000 or 25% of your annual compensation, whichever is less. There’s no minimum contribution requirement – it can change each year or even be zero. Although SEP IRAs can technically be used at a small business with employees, they’re not a great option for companies with more than 5-8 employees because employers using SEP IRAs are required to fund contributions for all employees directly proportional to what you contribute for yourself based on annual pay. SEPs are ideal for small business owners with no full-time employees and an average annual income over $75,000. Custodian Fee – Financial institutions that hold SEP IRA assets typically charge $10 – $20 per year per employee, which is deducted from individual employee accounts. SEP IRAs are unlike any other type of retirement plan because there are no employee contributions. Employers fund all contributions for themselves and employees. Contributions must be in direct portion, based on annual compensation. If you contribute 10% of your pay your SEP IRA account, you must contribute 10% of each employee’s pay into their accounts. For 2019, employers can contribute up to $56,000 or 25% of their total annual compensation, whichever is lower. All contributions are classified as profit-sharing and whatever you contribute to your own account, you must also contribute for employees. This is why SEP IRAs are generally not attractive for small business owners with employees. SEP IRAs are one of the more flexible plans for employer contributions. You can contribute whatever percentage of salary/profits you like, from 0% up to 25%. This percentage can change from year to year and be made after year-end. If you do have employees, however, remember that all eligible employees must receive the same percentage, proportional to their salary. SEP IRAs can be formed anytime before an employer’s tax-filing deadline. All contributions are pre-tax for employers and employees, so they don’t impact employee tax liability. There’s no annual filing requirement with the IRS. While they’re incredibly flexible, SEP IRAs have benefits and downsides for small businesses to take into account. Discretionary contributions – The key advantage to a SEP IRA is that you can contribute whatever amount you feel comfortable with from year to year. Unlike a SIMPLE IRA, you’re not locked into a given amount percentage, so long as you make proportional contributions for all your employees. For more information on how these plans work, check out our ultimate guide on SEP IRA rules and contribution limits. SEP IRAs can be arranged through an independent financial advisor or online with a mutual fund company like Vanguard. Traditional IRAs aren’t group retirement plans and are only available to people who are not eligible for an employer-sponsored plan and want to establish their own account. One big advantage that IRAs are portable – if you leave your job, you can still contribute to the same account. You can also contribute income from multiple businesses. Traditional IRA contribution limits are $6,000 for 2019 – far lower than other options on our list. This makes them a good option for part-time employees who aren’t eligible for employer-sponsored retirement plans or small business owners who can’t afford to contribute more than $6,000 per year. Traditional IRAs are the least expensive retirement account to setup and manage. Their expenses are similar to other IRA alternatives, without the costs of matching or funding employee contributions. There aren’t employer costs for Traditional IRAs unless you use payroll software like Gusto to manage withholdings. Custodian Fee – Brokerage firms or mutual fund companies that hold IRA assets typically charge $10 – $20 per year, which is deducted from individual employee accounts. Vanguard, for example, charges employees just $20/year for accounts under $10,000. Contributions to Traditional IRAs are made by employees only. There are no employer-funded components. The maximum contribution to a Traditional IRA for 2019 is $6,000. Account holders who are 50+ can contribute an additional $1,000 in catch-up contributions. Contributions cannot exceed your annual income. There is no Traditional IRA matching because IRAs are funded exclusively by employees. Traditional IRAs can only be used by individuals who are not eligible for an employer-sponsored retirement plan. For those who are eligible, an IRA can be set up at any time prior to their tax-filing deadline. Prior year contributions are allowed, and there are no filing requirements with the IRS. Traditional IRAs are very different than other options on this list and have their own advantages and drawbacks. Employers still need to assist – Traditional IRAs have to be set up by employees. but you may still be expected to assist them by withholding pre-tax payments and sending them to the mutual fund. A Traditional IRA can be provided by any independent financial advisor or mutual fund company, like Vanguard. Most banks can also help set up Traditional IRAs. We recommend trying an employee engagement survey to ask employees directly about retirement benefits. If there’s no interest, you might want to consider having an employee meeting to get feedback, explain your goals, and answer their concerns. Look at our summary table of retirement plan options from above. 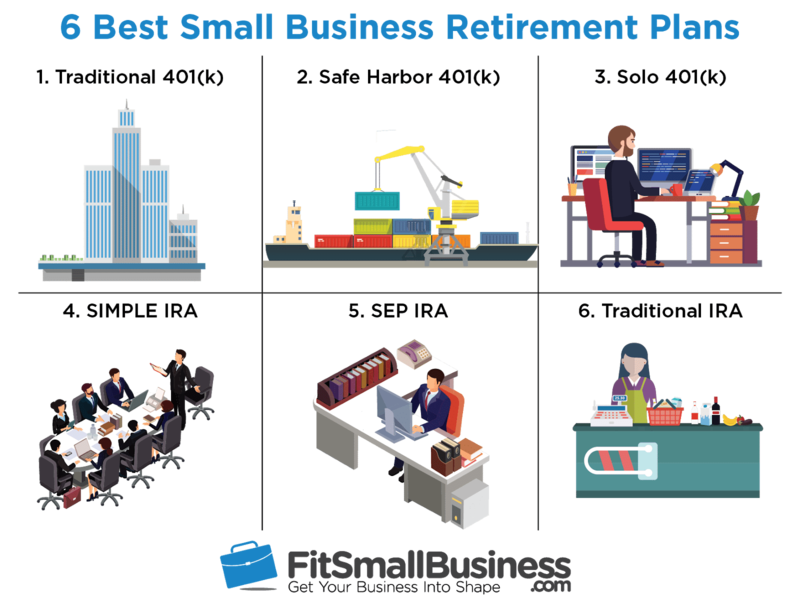 There are many small business-dedicated retirement professionals out there. You may want to consider Human Interest or Ubiquity 401(k)s for affordable plans. Vanguard is a very reputable company and cost-effective option for SIMPLE IRAs. When you pick a provider, make sure to layout your budget needs to be for contributions, matching, and administrative fees. Review matching options, make a decision, and include your match in any plan documents. Some employers use retirement plans as a way to keep employees by setting up a vesting schedule. Others make employees wait for 6 months or a year before they become eligible. Whatever you decide, make sure these rules are included in plan documents and applied consistently. Once you’ve adopted a plan, provide notification and disclosures to all eligible employees. It can also be a good step to automatically enroll employees who qualify unless they opt out. This increases participation in the plan and gives you a better idea of budgeting for contributions and tax savings. Offering retirement benefits is something every small business owner needs to think about carefully. Deciding what type of account is just as important as deciding whether to offer benefits at all. In addition to budget concerns or investment options, retirement accounts have a number of advantages and disadvantages worth considering. As a small business owner, you can recoup up to $500 in startup costs for setting up some new retirement plans for your employees. If you providing matching or profit-sharing contributions to your plan, those contributions are tax-deductible, resulting in further tax savings. Employees can take their retirement money with them if they leave your company. Your employees will coordinate this directly this with your provider. Retirement benefits are a great way to attract and keep employees. With employers competing for talent, offering a retirement plan helps you stand out and create a positive employer brand. This can potentially save you dollars on recruitment costs with lower employee turnover. Offering benefits like retirement plans can actually be good for your bottom line. Retirement plans are generally easy to set up and maintain, and won’t cost you lots of time or money. This is especially true now with newer providers entering the space. Some, like Ubiquity, have automated everything, including compliance testing. As the business owner, you can also participate in any retirement plan that you offer. This means that while helping your employees, you can also get tax benefits and save for your own retirement. Qualified retirement accounts, regardless of type, generally have fees that exceed those of regular savings or investment accounts. For 401(k)s, these fees can average $60-$100 annually per employee, while many IRAs cost $20-$25 per employee. There are also individual investment and trading costs, and some plans can include a one-time setup fee. If you have employees who are younger or living on tight budgets, they may not understand or recognize the benefits of a retirement plan. If you utilize automatic enrollment, make sure that you do your best to communicate the benefits of tax-free savings. Many small business owners get nervous about the cost of matching employee contributions. Remember that some plans don’t require you to match employee contributions, while others offer flexible matching formulas. Once money is deposited into a qualified retirement account, it can’t be withdrawn before age 59 ½ without incurring penalties. It can, however, be transferred to another provider in some cases. After age 70 ½, the IRS requires that you start taking required minimum distributions from any qualified retirement plans that still have balances. Small business owners are not required to provide retirement benefits for themselves or their employees. However, implementing a business retirement plan is strongly encouraged. Doing so will not only help you to save for your own retirement but also help your employees and serve as a tool for recruiting the best talent to your company. Remember that one of the most important components of a plan is choosing a reputable provider to help with implementation and administration. One of the best online providers for small business retirement plans is Human Interest. Human Interest’s technology allows the provider to pass savings onto their customers, saving you money with administration. I’d like to point out that getting a larger refund at tax time isn’t a benefit. If you get a tax refund at all, you gave an interest-free loan to the US Government. A larger tax refund can seem like a tax-time bonus to people that don’t manage their money well or save consistently and are always paycheck-to-paycheck, but unless that tax refund goes straight into savings it’s probably not being managed well. If you are going to write about finances you should be sure to point out the proper nature of money. I understand that some people, even when told this, would still prefer tax refunds because they feel like they would spend their money during the year anyway, but that’s poor management. Thanks for your comment. You’re conceptually correct that, if you get a tax refund at the end of the year, you’ve effectively given the US government an interest-free loan for some period of time. However, most business owners would rather get a tax refund at the end of the year rather than need to come up with cash for a sizable tax bill. If you get a tax refund at the end of the year, you can always use that money to pay down debt or divert it straight into a retirement account – and you won’t have lost out on very much interest for the time you didn’t have that cash. In this way, paying too much in taxes over the course of a year can almost be like a voluntary savings plan. 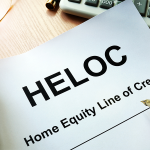 If you end up owing a sizable tax bill, on the other hand, you may be left in a situation where you need to borrow in order to pay your bill, resulting in a loan that charges you interest each month. You could also end up having to sell off potentially-profitable business assets in order to pay Uncle Sam. All in all, many business owners prefer the comfort of a tax refund to the headache of coming up with cash for a tax bill. However, there are some who prefer to hold onto cash and have no problem building reserves to pay all their taxes at the end of the year. Whatever works for you is what you should do! Best of luck, and thanks for reading.